Best In Show Garage upgrades garages by transforming the floor and adding storage that includes cabinets, wall racks with accessories, and overhead storage racks. The hybrid flooring system used by Best In Show Garage is strong, durable and won’t discolor over time. Our cabinets are all manufactured in the USA and are industrial-grade. For our wall racks, we use Handiwall Slatwork; they allow for a flexible layout that easily adapts to the storage needs of the customer. And finally, our overhead storage racks utilize the often-unused space above the car. Combine these products for a one-of-a-kind, clean, organized garage space. Allan Privott founded Best In Show Garage in 2005. After graduating from Appalachian State University in Computer Science, Allan worked in the IT business for many years before starting Best In Show Garage. 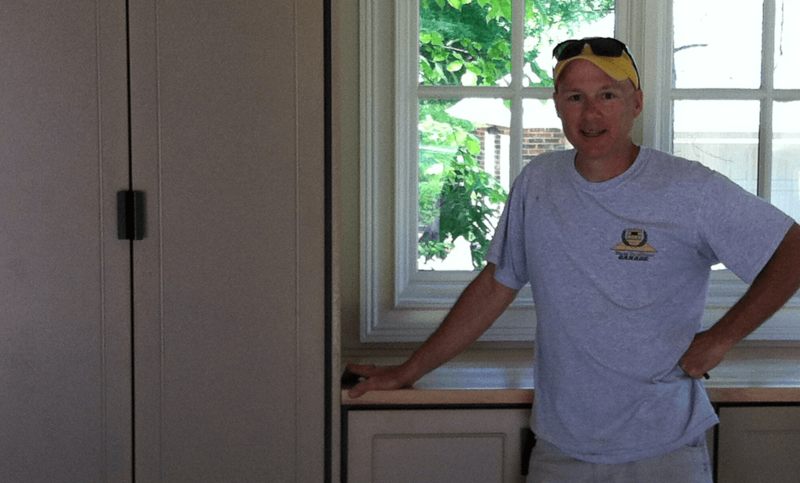 Allan found that he enjoys the transformation that occurs to someone’s home when he has the opportunity to makeover a garage. His desire to provide a high level of quality with exceptional customer service make Allan and Best In Show Garage the best choice.